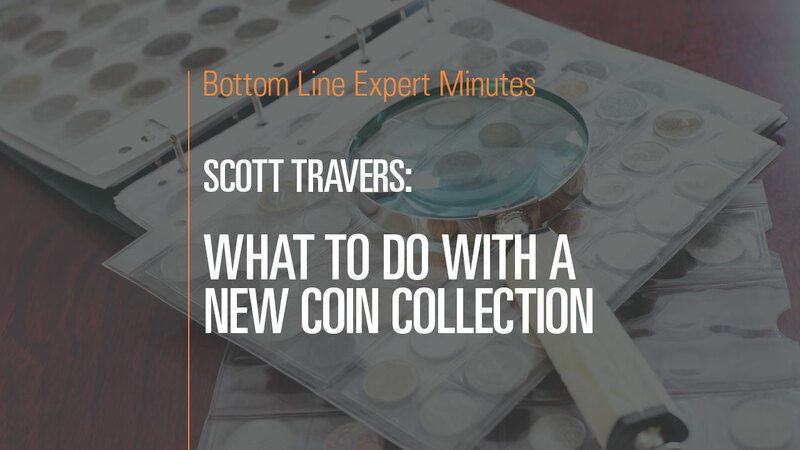 In this video, Scott Travers, gold and rare coin expert and author of The Insider’s Guide to US Coin Values, talks about what you should do if you acquire a coin collection through inheritance or some other way. First, he says, determine the origin of the collection as well as the time period that the coins come from. Has the coin collection been carefully curated by a collector or is it just “pocket change” saved over a period of time by a less knowledgeable individual? Are there documents that give additional information as to the provenance of the coins? In the event that the coins don’t have any identifying certification, collectors can use reference resources to determine this information on their own or they can consult reputable dealers (preferably more than one) who can help with this research.